Career Cruising is a self-exploration and planning program that helps people of all ages achieve their potential in school, career, and life. You can use career cruising to answer questions about yourself, your skills, your preferences, and your goals to generate a list of potential career options that you can explore. Career Cruising offers information and guidance for every career opportunity, enabling you to take your future into your own hands. 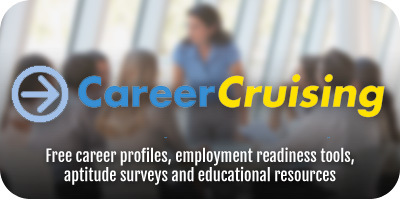 Head over to CareerCruising.com and input your login information to get started. Forgot your login info? Ask a teacher or administrator. Keep an eye out for the next thing in career and education planning: Xello!